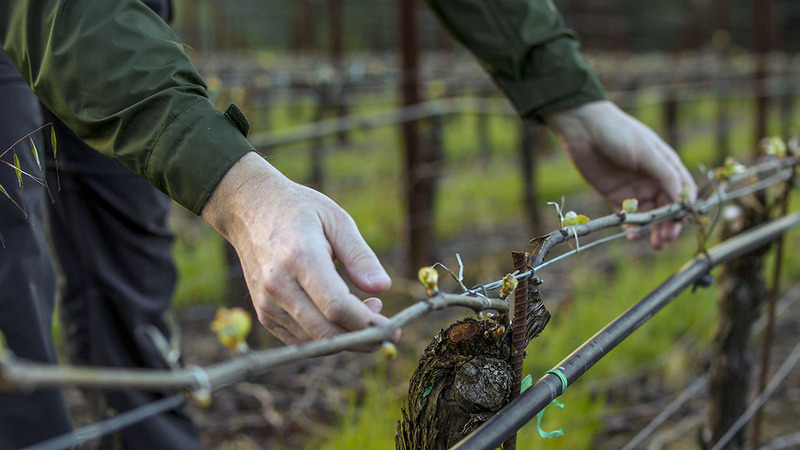 We’ve been working with the same vines at the fascinating Widdoes Vineyard all the way back to 1996. Over the last few years we have moved to earlier harvesting here preferring to capture the freshness and complex dried herb elements the vines naturally produce, rather than the richer, heavier and sweeter notes that come from late picking. We know that the truffle complexity, so unique to this vineyard, will develop in bottle with time and it’s important to balance this richness with brighter elements, to avoid the wine becoming clumsy as it ages. Early picking proved to be a perfect strategy in 2011 as we were able to harvest the entire ten acres in the two days prior to the large storm that came on October 1st, thus safeguarding quality. What you find in your glass has all the fresh, breezy fruit of the vintage with a good measure of old vine texture and concentration. There is a vein of wild berry/mineral complexity that courses throughout the wine that we see in each vintage and it’s this signature that makes the vineyard so compelling to work with. The longer you age this wine within a decade’s timeframe, the more complexity you will find here. Brilliant dark rose color. Immediate dark fruit aromas – black raspberry, boysenberry and kirsch. Typical Widdoes vineyard complexity then takes hold – tarragon, black olive, soy and truffle. Bright and fresh palate entry becomes broad, soft and enveloping with air. Plush dark fruit but never heavy. Floral and sweet herbal elements drive the complexity. Generous broad finish with lifting fresh acidity. Drink between 2014 and 2020.